The world is moving towards the phone. Just think of a day when you woke up and your phone is not with you. It’s horrible to even imagine, right? As you can’t imagine your daily life without a phone then why to keep your best marketing strategy far from Phones. I don’t carry my laptop everywhere and every time and even you would not be able to do that, and even anyone could think of it. Still if you’re thinking a lot of investing to make your email mobile friendly then get aware of these facts which will guide how Mobile devices are taking away the market. Email Marketing is the oldest, the most trustable and the most professional marketing strategy and if you have not yet optimized your emails for mobiles then you’re actually cheating with your business. 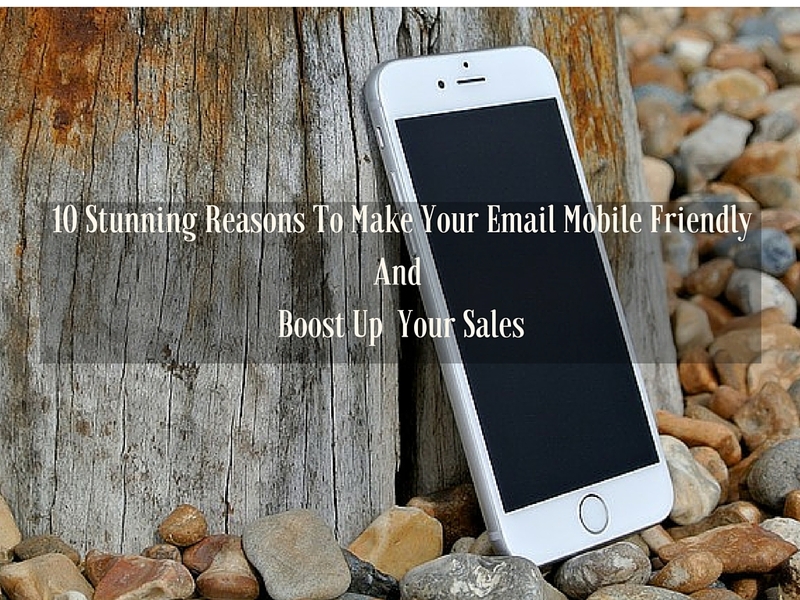 Here are 10 reasons to know how you can increase sales by making your email mobile friendly. Data can be checked by you, facts are in front of you, now you are smart enough to decide your next step. Go ahead, and boost up your business with mobile friendly emails.